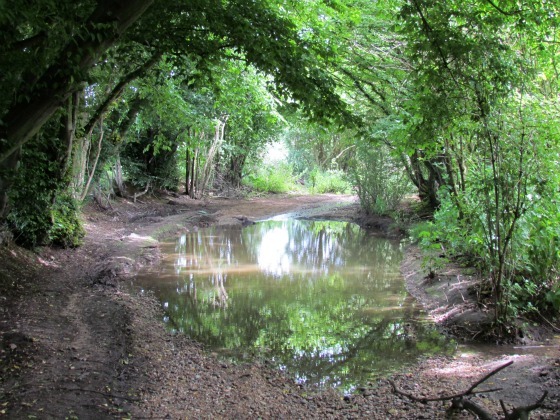 A pleasant circular down to the River Mimram and back up to Ayot St Lawrence mostly on footpaths. Great open views across the Hertfordshire countryside. 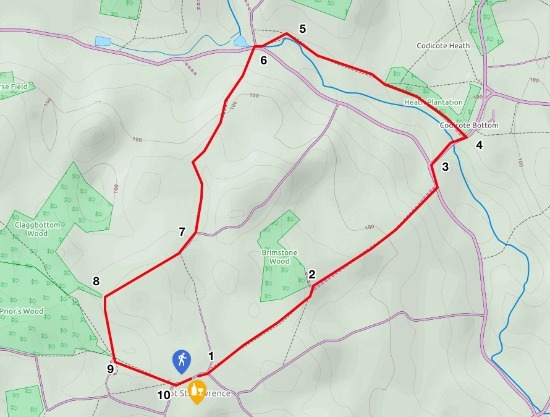 There is an option at the start and finish point for refreshments at The Brocket Arms. Check opening times. Park along the lane at Ayot St Lawrence close to The Brocket Arms. Head west on the road outside The Brocket Arms. At the first bend, when the road turns right, you turn left down a driveway to Ayot Park and then immediately turn right down a footpath. Follow this path as it heads in a straight line to Brimstone Wood and then becomes a cart track. At the bottom of the hill you reach a farm gate leading to Kimpton Road, a quiet country lane. Turn left and then turn right at the road junction up Heath Hill. 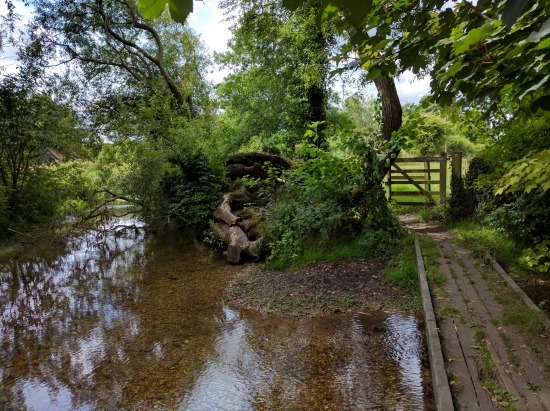 Walk north along this lane for a short distance, cross a bridge over the River Mimram at Codicote Bottom, and then look out for a path on your left heading north west. Take this path. Continue along this path, through Heath Plantation until you come to a footpath sign and gate on your left. Take this path as it drops down to a bridge over the river. Cross and continue through the next field. Cross another footbridge over the river and emerge on Kimpton Road. Turn right and then take the footpath on your left opposite Kimpton Mill. Follow this path uphill until you reach Tanyard Lane. Here you turn right and follow the lane round until it bends left. At this point you will see a path straight ahead. Take this path with the field on your right and the hedgerow on the left. When you reach a gate, turn left into an open field usually populated by sheep. Head south towards the church. Go through the next gate near the entrance to the church and take the path on your left back to Ayot St Lawrence. When you reach the lane, turn left and head back to your starting point.